I was sad to receive an email this year saying that Klehm's Song Sparrow will no longer be publishing a print catalog. The internet, that I love and with which I publish this blog, has created a different & cheaper way of communicating with customers. It is with great sorrow that I let go of these printed catalogs that I could read at my leisure, without having to pay an electricity bill to view them! I hope all of the other peony catalogs do not go this way. 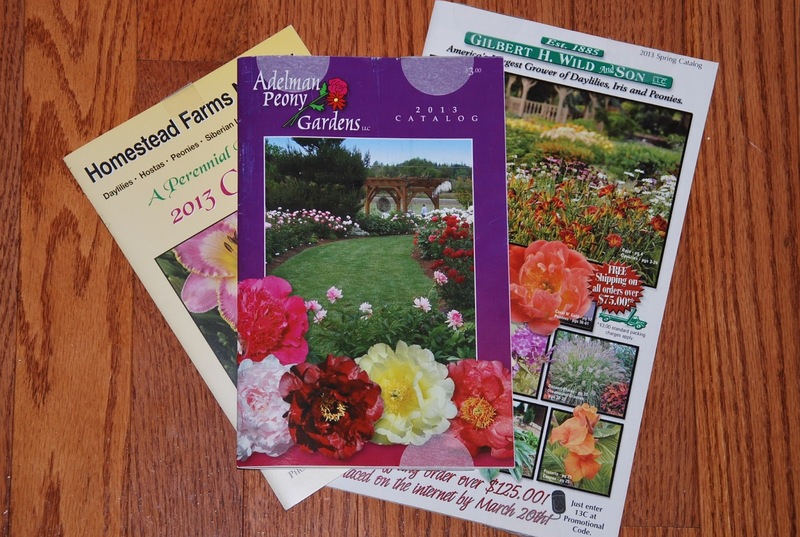 The only catalogs I've received this year were from Adelman Peony Gardens, Gilbert H. Wild, and Homestead Farms. Also I just received my American Peony Society bulletin last week, and in it there was a letter stating that Hollingsworth Peonies was sold and they will no longer be mailing a print catalog either. It seems they will only be publishing their catalog online now too. How sad. I hope the nursery continues to offer great peonies as it has in the past. I have gotten some great peonies and some great advice from Hollingsworth Peonies.